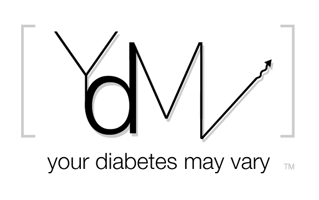 Your Diabetes May Vary: Ping or not to Ping that is the Question. When our internet goes down, I ping a known address. When I get a reply back, I know everything is OK. When do you expect Dexcom integration? Will Ping need an upgrade to talk with Dexcom, if an upgrade is required for a Dexcom why should I buy a Ping now? It is public information that Dexcom integration is in the works. Asking for answers about how it will be handled is only a fair and proper action for an informed consumer. Further it sadly appears that since the Johnson and Johnson acquisition of Animas the upgrade policy has changed to a practice of increasingly substantially fees. The more so the longer a user has been loyal to the Animas brand. It seems that the policy now is to create incremental product cycles to insure users pay out of pocket upgrade fees. Given that appearance, one can logically assume that Dexcom integration is at least as far down the road as to generate upgrade fees for Johnson and Johnson. Given this appearance of a J&J policy of maximizing out of pocket fees by users, why would anyone consider Ping without a commitment to know pricing for the Dexcom integration? Here are some suggested fair and honestly acceptable answers. At Animas we are working diligently to integrate the Dexcom CGM capability into our Ping product. We can not speculate on FDA actions and can not comment on time frames. Since we do not know what the FDA may require we can not commit to not needing and upgrade. We at Animas / One Touch / Johnson and Johnson recognize that continuous glucose monitoring is of the highest importance to our pumping clients. We commit to every Ping client that if upgrades are needed to integrate CGM into the Ping system that we will make those upgrades free of charge during the normal warranty period. Users can take advantage of the wireless benefits of the Ping system now knowing they will be able to take advantage of the additional benefit of integrating the Dexcom CGM capability into the ping system with no out of pocket costs. Now when they get those first question answered here are some more about the rest of the Ping product. Does hand held meter communicate BG to Dex for calibration as it communicates BG to the pump? Can multi user households have more than one meter in house w/o confusing pumps. How will Ping work with Dexcom? Will Ping communicate directly with the Dexcom transmitter? Or will users need to carry a Dexcom receiver around also? Or will hand held meter be the intermediary or we need to carry all three? Can pump alarm setting be adjusted by time of day and set real loud at night? Do menus allow for scrolling “around the horn” that is loop from top to bottom and visa versa? Does Ping still allow for custom music on alarms so that multi pump households can tell which kid’s pump is alarming from the tone? Has the food database interface been updated to allow for user customization or are Baby food & Beans still in the high priority spots? Has the food database been given iPod like “Play List” user control? Is food database customizable for user defined foods in categories? Is food database exportable to smart phone? How does Ping communicate to computer? – Still the IR dongle in the serial port? How Ping wireless communication effect battery life? How much is a replacement hand held Meter? How many events does the Ping system record? Where are those events recorded? In the pump or in the hand held meter. What events are recorded and is there a provision for recording memos on exercise activity. Can the Ping talk to multiple wireless meters, for example a separate one at school? What if you use another meter can Ping work with manual BG entry and does Ping remember the BG you enter into it for down loading? Does the meter come in colors so families with more than one T1 can tell whose meter is whose? Is the ezManager Max software all new? Is ezManager Max software stable? Is ezManager Max built on Access? Does ezManager Max follow win and Mac conventions? Can users access their data and make custom reports? Are the ezManager Max data files open source? Do Ping / Johnson and Johnson support the idea of and commit to open source user diabetes data files? Does Ping / ezManager Max allow users to plan changes to basal w/o connecting pump? How does the ezManager Max software get information from the CGM? Does ezManager Max download data from other meters and CGMs? Does ezManager Max software anticipate families with multi pump users? How does ezManager Max report basals rates? Does ezManager Max have 24 hour basal, bolus, carb, insulin report? Does it correctly report basal rates in the times they were given or does it incorrectly report basals as ezManager does. Does ezManager Max calculate and report on standard deviation. Does ezManager Max have a multi day average basal BG report? Does ezManager Max have a multi day graphical representation of BG like Cosmo’s. Does ezManager Max have a report report of blood glucose vs. carbs and bolus for evaluation of meal spikes and insulin on board. Is there a portable version of ezManager Max? Is it in the wireless meter? Can it be put in a smart phone? 10 print "I don't know." Would you mind getting some solids to about 80-90% of your Ping-based queries by this coming Thursday. Drive over there, send them to J&J in a singing telegram, something. I'll be waiting, but in the words of my friend Tom Petty, "The waiting is the hardest part". Much obliged. Oh wait! Nick has a better idea, a stuck record. OK you guys are probably so young you never saw a record. The were like CDs only bigger. Ahem. I had a little record player when I was a kid, and I pretty much learned to read by reading story books along with the record player. Sorry Nick. I didn't realize you are old as dirt too. i met with an animas clinical manager today and she said the dexcom integrated pump would probably come out around late 2009-early 2010. She said if i get the ping now i could upgrade to the new pump then for about $300 out of pocket. Were they willing to commit to an upgrade price? i now see what you mean that they really stick it to you for being loyal. This is very counter-intuitive based on much $ they make on consumables. Counter intuitive is a nice way to put it Bryan. So here is the problem say you buy it now. The CGM slips a few months (and that NEVER happens in technology) to the early 2010 dates now you are looking at 599 to upgrade.